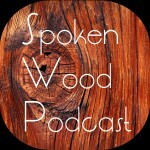 Today’s episode was written by Megan Fitzpatrick for the “Woodworking Magazine Weblog”. It’s titled “How Many Saws Does it Take” and was originally posted September 17, 2010. To find more great articles like today’s post, visit the “Woodworking Magazine Weblog” at www.blog.woodworking-magazine.com/blog. « Wood Talk Online Radio Tonight?? ?